I finished this icon of The Holy Protection a few weeks ago. 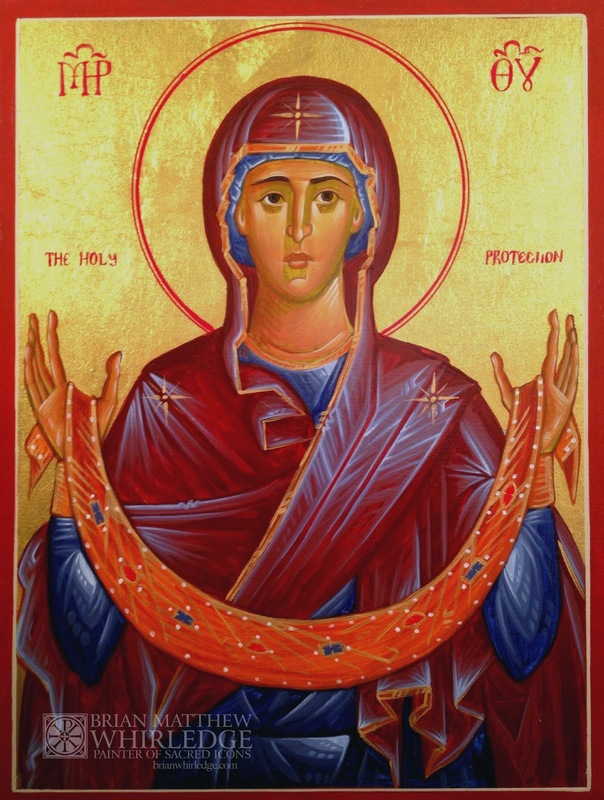 I plan to use this icon as the subject of an icon painting workshop I will teach this Fall. It depicts the Virgin Mary, Mother of God, in prayer holding her veil as a protective shield or covering. This feast is known as Pokrov (Russian/Slavonic) or Agia Skepi (Greek), and is celebrated in October.